Wind back to the latter part of 2014 and very few thought we'd see its like again. After the Russian race - the location possibly not a coincidence - the owner of the (then named) Marussia team Andrey Cheglakov walked, plunging the outfit into administration. Of course there was talk of fighting on from the team's two main threads of continuity John Booth and Graeme Lowden, but the apparent death rattle sounded terribly familiar. It still sounded terribly familiar when entrepreneur and Ovo Energy owner Stephen Fitzpatrick arrived on the scene to buy the squad and provide some funding. The team, now back to being called Manor, still required a lot of things to come together in the team's favour to continue, but come together they did. The two main creditors Ferrari and McLaren decided to cooperate rather than get awkward, Ferrari too agreed to continue a supply of 2014 power units. Manor had fortune also that the administrators had chosen to sell off its assets in stages, and while one auction had already happened by this point there remained enough for the team to form a skeletal operation (and in an ironic twist, it bought some of the missing pieces from the auction of Caterham, the other team going into a similar abyss at a similar time). Around 80 of the former 200 staff were reassembled, though many of the rest had since been snapped up elsewhere. Manor was on its feet again. And a last minute booby trap was dodged when Force India in the strategy group decided to veto a plan to let Manor run a 2014 car with the additional safety intrusion panels added on. This looked like it would require the team to build a whole new monocoque, which doing with just weeks to go before the first race would be impossible. But technical director John McQuilliam had a "brain-wave" according to Booth. "John realised there was nothing saying that the monocoque had to be one-piece. So he devised a conversion section which met with the monocoque at the front". The FIA technical delegate Charlie Whiting accepted it in Melbourne, and the team was on its way. Well, nearly. As the administrators wiping its computers meant the cars couldn't run in the opening round in Australia, but the cars had turned up and been scrutineered which is the minimum required, and from Malaysia onwards the team competed properly. 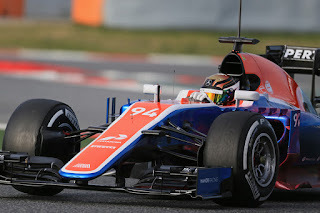 But in truth for Manor in 2015 it was mere existing rather than competing, with what was in effect a patched up year-old car - that never had been near a windtunnel - and a similarly year-old engine. The original plan was to bring forth a 2015 car proper for mid-season, but that idea was ditched on the grounds of it being a waste of money - its cars were qualifying well within the 107% limit in any case and were pretty reliable, and the team preferred to keep its resource for the 2016 machine which would, in a masterstroke by the team, have the sweet Mercedes power unit in the back. But in the meantime in 2015 the Manors, several seconds off the pace, really were only racing each other and being lapped. And many feared the worst when in the latter part of the year it was announced that Booth and Lowden, the lifeblood of the team in many ways, would be leaving, and the newly-installed and highly-rated technical director Bob Bell left around the same time. Suggestions lingered that they had a different view to Fitzpatrick on the team's future direction, with many reckoning that his motivation is to build the team up in order to sell it on. That Manor, with by the end of 2015 three top ten placings in the constructors' table in a row, was now eligible for a greater share of F1's revenues rather was in keeping with the idea. Whatever was the case, it looked perilously like the start of the team's decline, merely a year delayed. And yet still it continues and the best signs are that whatever Fitzpatrick's endgame is he's not letting the team slide. On the contrary, much ambition has been shown in the recruitment, with Alex Wurz approached to be team principal, though he turned it down as "it wasn't the right time". Dave Ryan, longtime of McLaren, is in as racing director as are two recent high profile Ferrari refugees, Pat Fry as engineering consultant and Nicholas Tombazis as chief aerodynamicist. And not only has it bagged the best power unit in the business it also now has a technical collaboration with Williams which includes suspension and transmission components. The hiring of Mercedes protegee Pascal Wehrlein as driver is also thought to allow Manor access to Merc's 50 per cent windtunnel. Ryan said at the 2016 car's launch that "respectability and competitiveness" are the aims for the year, as well as that the relationships with Mercedes and Williams are going "fantastically well". The car too while clearly nothing like a Red Bull in its detailing also clearly has moved forward a lot in that area. And all of this is coming together where it really matters too, on the stopwatch. The team did indulge in a few gumball tyre glory runs in testing, which flattered the car somewhat, but still it is undeniable that there has been a multi-second improvement since last year. One extrapolation of its best lap of testing onto the medium tyres had a four second improvement from Manor's 2015 qualifying time at the Barcelona track, as well as would have been good enough for fifth on the grid then! Wehrlein too spoke of giant improvements in the car's set-up since the start of testing, and of his optimism for Melbourne. Analyses still have it cut adrift of the rest, albeit by 1.5-2 seconds off the next car rather than the several seconds of last year (and remember the back of the midfield, particularly in the shape of McLaren, will have moved forwards itself). Granted it should be doing this given everything, but you've still got to do it. Not for nothing one observer noted in Barcelona that "Manor looks much more like a Formula 1 team than before". When God closes a door, He opens a window. Or whatever the phrase is. And no sooner had F1 lost its pariah of choice in Pastor Maldonado as it had found a new one apparently, when Indonesian Rio Haryanto was confirmed for the final available 2016 race seat at Manor ahead of the rated Alex Rossi. The parallels were noticeable - Haryanto is thought to have considerable financial backing, particularly from his home country's state oil company, and this played its full part in Manor's decision presumably. Rumours have bubbled indeed of the fight for this seat being an auction to a large extent. Whatever was the case plenty of self-disgust in and around the sport ensued. There were a few knowing noises audible too when Haryanto spun the car on his first day of testing then binned it properly and thus ended the day early the day after. Yet even over and above that we all deserve a fair chance, perhaps we're being harsh on Haryanto, as arguably we were on Pastor. Haryanto falls more into a category that is rather common for pay drivers these days, in that it cannot be denied that money is the chief discriminator of him getting his F1 seat but equally he has a solid enough CV which suggests he'll be competent at least. You could say that his case is not too far detached from that of Marcus Ericsson, perhaps even from that of Esteban Gutierrez. 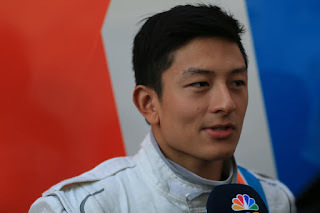 Haryanto finished fourth in last year's GP2 standings, and while observers of that series say that outcome flattered him a bit as he was rather reliant on results in reverse-grid sprint races (all three of his race wins and half of his points came from there) and wasn't a strong qualifier, as well as that it was his crack number four at a GP2 campaign, they also say he is handy enough and possessed of good race craft. Perhaps unlike Pastor too, who often gave the outward impression of being in denial about his foibles, Haryanto has been open on that he needs to learn from his mistakes in testing. Like Pastor too, he's been a popular presence within his team. He might just surprise a few this season. 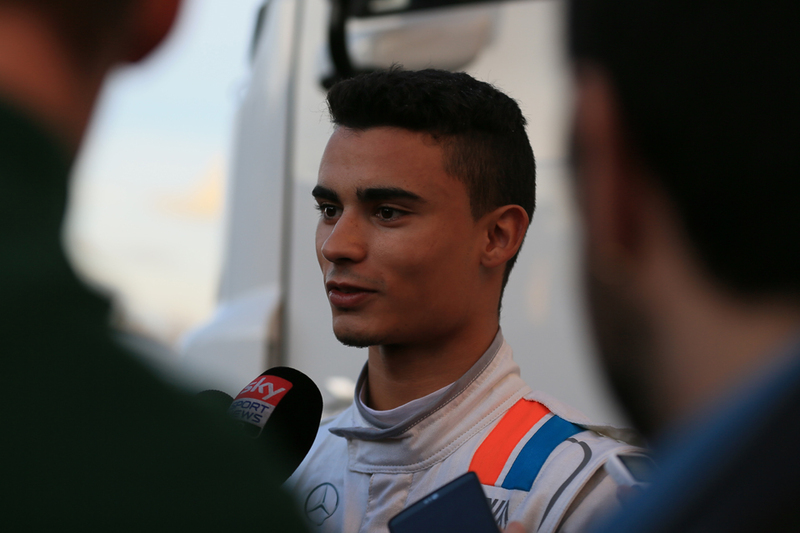 Pascal Wehrlein is a young man going places. That Mercedes has had him marked for great things for a while, to the point that it retains the right to recall him should Lewis Hamilton or Nico Rosberg slip getting out of the bath, tells us this. "He definitely has the ability to be in Formula One, to be one of the very successful ones," said Mercedes boss Toto Wolff, who also just so happens to be the one who brokered the deal for him to race with Manor. Following a promising junior single seater rise Merc liked what it saw and placed him in DTM in 2013. The following season there he became the youngest driver in that series to bag a pole and win a race, then last year he became the youngest to win the championship. His title was an impressive one too, his Mercedes wasn't especially the class of the field but he won out with consistent points-bagging and delivering at the crunch point. Those who observed him closely said that he grew a lot in personality terms in his championship year too, including some character building as he was caught up in the infamous 'push him out' gate with Audi. And DTM is a deceptively good preparation for F1 more generally. It's a technical formula that requires hitting the sweet spot in a tight set-up window, as well as to nail it in short and intense qualifying sessions. And do all this in a high-quality field of drivers. He also has direct F1 experience, getting six days of testing last year for Merc and for Force India, which was in addition to 500km in a two-year old Merc the year before. Wehrlein already has impressed his new team not only with his pace but also with his composure. Already too the squad is confident that any shortcomings in the lap times cannot be attributed to the driver. At Manor there is the usual question of how easy it will be to distinguish himself, given even with the team's improvement he's likely to be off the back of the pack as well as have a team mate who may struggle, at least initially. Yet as Fernando Alonso, Mark Webber and Jules Bianchi have shown it is entirely possible to do so. You just have to be good enough. And the signs right now are that Wehrlein is. I think that I, like many, had somewhat unrealistic hopes for the team this year. However lets hope they continue to build the team in what is apparently the right way. They are the feel good story in F1.